Want to work with us? 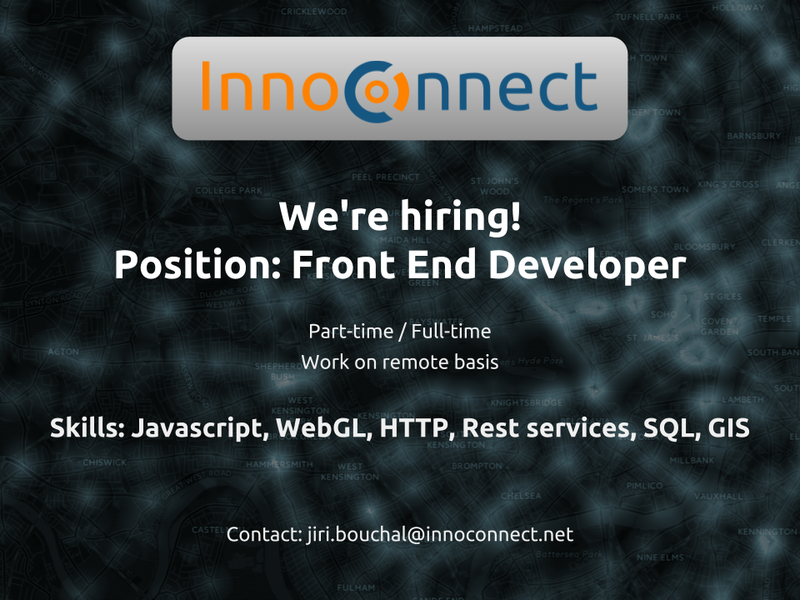 We’re looking for a front-end developer! 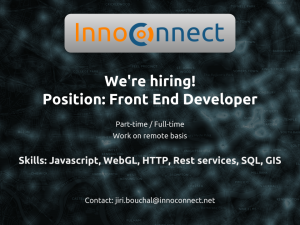 Please check our website (innoconnect.net) and our WebGLayer open source library (webglayer.org) to get familiar with our work before applying. We look for a colleague both on senior and junior level. We also encourage university students and fresh graduates to apply. Please send us your CV and a brief letter (half-page) providing few details on yourself and your motivation to work in our team.